A project that could transform the Brentwood neighborhood is up for zoning approval tonight after being scaled back significantly. But current residents of the Brookland Manor complex, fearing displacement, are opposing the plans, setting up a fight for the Zoning Commission to resolve. 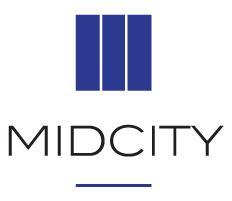 The Mid-City Financial Corporation, based in Germantown, owns Brookland Manor, a low-rise apartment complex with 525 units spread over nearly 20 acres just off Rhode Island Avenue NE. The apartments, 373 of which are subsidized by the federal government through the project-based Section 8 program, date back to the Great Depression. They’re not in good shape. The complex has become a crime hotspot. And with development and dollars spreading eastward along Rhode Island Avenue to nearby Brookland, Mid-City has an opportunity to turn an aging property into a lucrative opportunity. As Mid-City frames it, though, the project is a legacy-building one for the company’s 85-year-old founder, Eugene Ford Sr., who started the firm in 1965. Rather than scrapping its Section 8 contract with the U.S. Department of Housing and Urban Development and building entirely market-rate units, Mid-City has chosen to keep 373 of the new apartments under Section 8, while adding 1,273 market units by building higher and denser. “You know the Museum Square story,” says Mid-City Executive Vice President Michael Meers, referring to the embattled Mount Vernon Triangle building whose owner has sought to demolish it and displace the Section 8 tenants in order to build luxury apartments and condos. 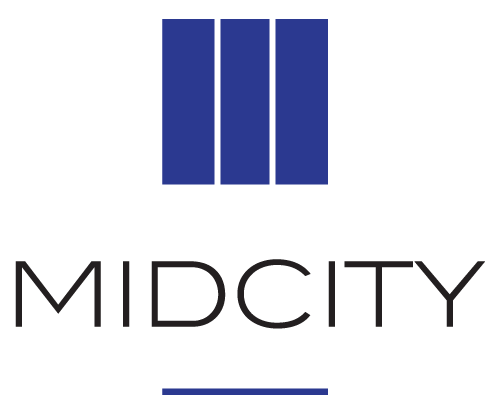 “We’ve taken the position that it needs to be safeguarded.” When Mid-City pitched its plans last fall, some residents were cautiously supportive. “I believe that’s a good idea,” Minnie Elliott, president of the Brookland Manor/Brentwood Village Residents Association, told me then, referring to an overhaul of the complex. Her only fear, she said, was that “we don’t want them to displace the people that live here.” And if Mid-City’s commitment to minimizing displacement waned, she said, “we’re going to make noise.” Now they’re making some noise. The tenant association will speak in opposition to Mid-City’s plans tonight before the Zoning Commission, which will rule on Mid-City’s application for a zoning change to allow for the increased density on the site. As development battles go, this is an amicable one. Meers says it’s been a “very cordial process,” and Will Merrifield, an attorney with the Washington Legal Clinic for the Homeless who’s representing the tenants, concurs. The disagreement has mostly to do with definitions. Meers says no one is being displaced. Because Mid-City, anticipating the redevelopment, has been leaving apartments vacant when people move out, there are now 489 households at Brookland Manor. (The complex, technically located in Brentwood, has also been known as Brentwood Village.) Meers expects that number to drop to about 424 by attrition in the next two-and-a-half years. Of those households, 373 will be eligible for project-based Section 8 housing. Because most of the current residents who aren’t in Section 8 units receive housing vouchers, Meers expects the remainder of the returning tenants, approximately 50 families, to be able to apply for the market-rate housing at the redeveloped site using their subsidy vouchers. “They can of course stay there with their voucher,” he says, “because we, as a responsible landlord, can’t discriminate against tenants because of the source of their rent.” Merrifield is skeptical. While Meers says Mid-City hasn’t yet set rents, Merrifield is confident they’ll be out of the price range allowed by HUD. “The HUD guidelines that set the voucher limits in all probability will not allow them to rent at the levels that the new rents will be,” he says. “My feeling is that it’s going to displace those people.” Merrifield is also concerned that Mid-City isn’t planning to build any new four- or five-bedroom units at the site, so that large families could be forced out. By his calculation, 145 family-size units will be eliminated. Meers counters that under HUD guidelines, two family members can share a room, and just 13 households at Brookland Manor have more than six people and would therefore require a four- or five-bedroom apartment. Most of those 13 families, he says, have portable vouchers that they can use to find housing elsewhere in the city or region. Ward 5 Councilmember Kenyan McDuffie, whose ward encompasses the site, has endorsed the project. “I applaud Mid-City’s affordable housing commitment on privately owned land,” he wrote in a May 4 letter to the Zoning Commission. “The redevelopment of this property into a mixed income, mixed use community will also create economic opportunity in Ward 5.” In addition to housing, Mid-City’s plans call for a substantial retail component, including a supermarket. Several neighborhood groups have also backed the project, including Advisory Neighborhood Commission 5C, whose jurisdiction includes Brookland Manor, and nearby ANC 5B. Mid-City initially proposed about 2,200 housing units, of which approximately 20 percent would be affordable—well above the 8 to 10 percent that would otherwise be required under D.C.’s inclusionary zoning law. But the Zoning Commission and Office of Planning deemed the plans incompatible with the city’s comprehensive plan and urged Mid-City to scale them back. The proposal being presented tonight is 500 units smaller, and its tallest buildings are just 65 feet, instead of the 90 feet pitched earlier. As a result of the downsizing, the percentage of units that are reserved for low-income households has risen to 23 percent, although the actual number of affordable units has dropped.